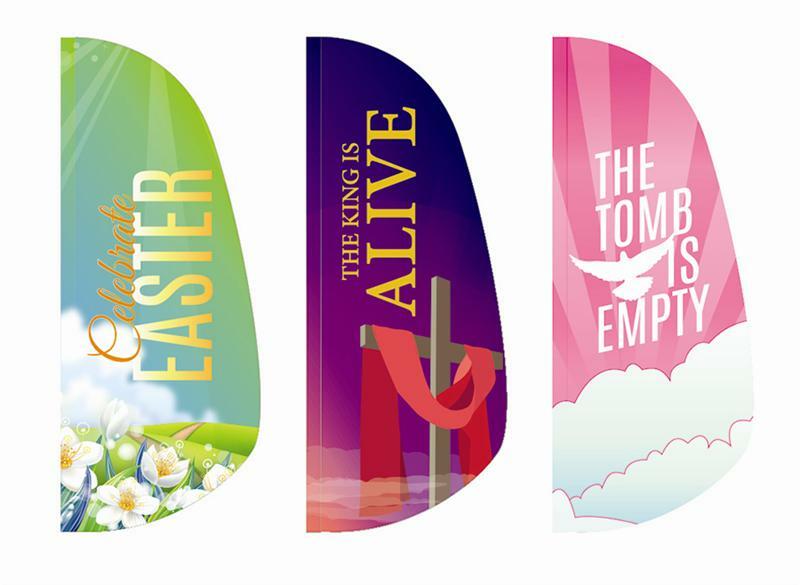 Our vibrant Easter Feather Flags are uniquely designed. 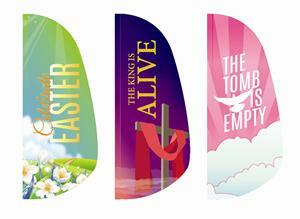 Our Celebration Easter feather flags come in sizes: 8 ft , 10 ft, 12 ft. They are made right here in the USA. Competitor flags are made overseas. Our Easter Swooper Flags are made in the USA. Buy USA made products and save American Jobs. EASTER FEATHER FLAGS 10 FT X 3 FT , Nylon , Made in the USA. Note: Use your own 1 inch poles or buy our poles. EASTER FEATHER SWOOPER BANNER FLAGS 12 FT X 3 FT , Nylon , Made in the USA. Note: Use your own 1 inch poles or buy our poles.